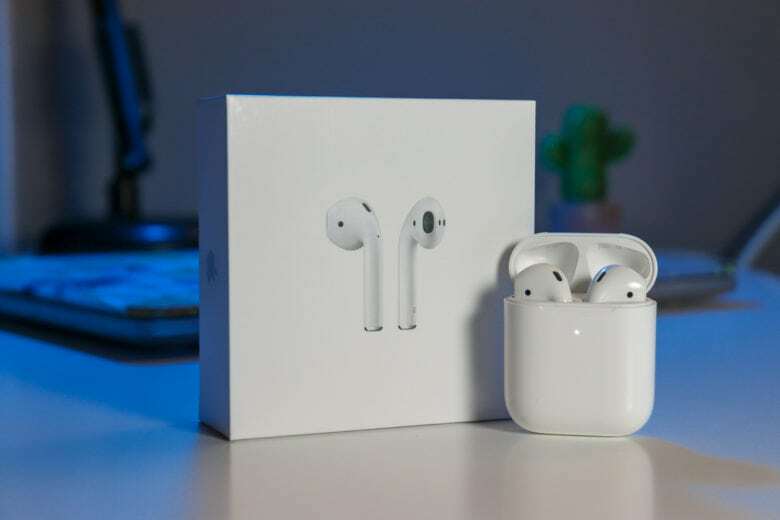 You can already get your brand new AirPods for less. Back in December 2016, I was ecstatic to receive my AirPods. In the first few days after they arrived, I had them in my ears almost every moment I wasn’t sleeping or in conversations with others. Since then, I’ve worn my AirPods, on average, something like four hours every day. When they aren’t in my ears, they are in their case, in my front left pocket. They are as much a part of me as the iPhone they’re typically paired to. With the second-generation AirPods (can we agree to call them AirPods 2? ), Apple took the product I’ve loved dearly for the last 800-plus days, and made it just a little better. The new AirPods offer the same design and feel as their predecessor. They’re glossy, white and offered in any size you want, as long as it’s the single size Apple sells. That means that if you were hoping for something new or fresh, or want people to know you’re wearing the fancy new AirPods (and not those ancient original AirPods), you’re out of luck. From a fit perspective, Apple claims it did tons of research on ear sizes and shapes to make AirPods perfect for the masses. For me, they fit quite well 95 percent of the time. The only exception is when I’m doing heavy cardio and my ears get sweaty. With how frequently I see AirPods when I’m out and about, it seems to be generally true that the fit is OK. But if you had a problem with the original AirPods, these aren’t going to change that. I should remind you — I love my AirPods. I also know that some people had issues with the fit or style of the original, so it’s important to know that nothing has changed. With that out of the way, there’s lots that is new and different. That starts at the new AirPods case. With AirPods 2, pairing proves just as simple and straightforward as with their predecessors. If you picked up the new AirPods with Wireless Charging Case, you get 24 hours of total battery life packed into the dental floss-size package. You also get the benefit of wireless charging. If you’re asking yourself why that matters, try adding a wireless charger to your desk or countertop (or wherever you often use your AirPods). Having the case charge whenever you set it on your desk means you can essentially stop worrying about the case’s battery level. The topic of batteries applies to the AirPods themselves. If you owned the original AirPods, you could enjoy a couple uninterrupted hours of music or podcasts before hearing the low battery alert. For phone calls, AirPods typically lasted an hour or so. After a year or two of use, that decreased pretty significantly for me. 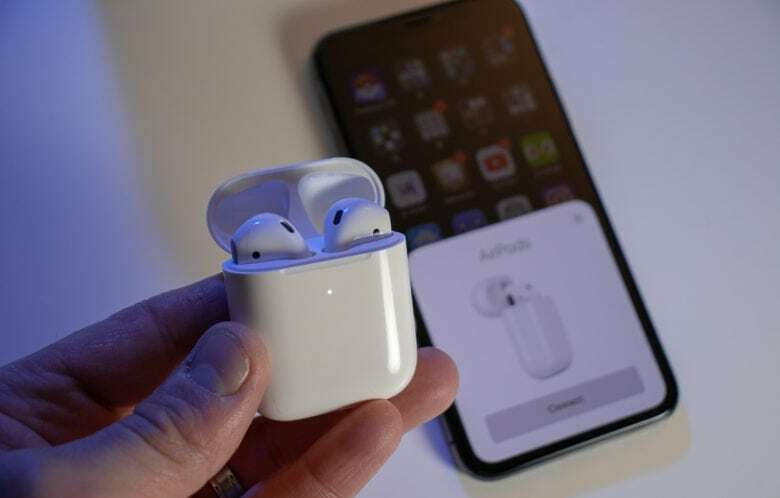 AirPods 2 promise massive improvements on this front. According to Apple, you get up to five hours of music (or podcasts, audio books, etc.) — same as the original AirPods. But for talk time, Apple says you get up to three hours. I can’t possibly fathom talking to someone on the phone for three hours to put that claim to the test. (Sorry, mom.) But that is the type of improvement that makes AirPods 2 great for business uses. If you spend large parts of your day on conference calls, collaborating with remote colleagues, or working with clients, getting 50 percent to 100 percent more battery life is nothing to sneer at. After spending several hours testing the new AirPods, Apple’s promises of better battery life seem to hold up. I was able to get just over 4 hours of music playback and still have 20% battery remaining. I was also able to do far more than an hour of phone calls with 50-60% battery left. Compared to my aging 1st generation AirPods, this was a massive jump. Even when they were brand new, I don’t remember ever breaking 4 straight hours of music and podcasts. I also had plenty of times where phone calls required me to switch from 1 AirPod to the other so I could recharge them as I sat on conference calls. The improvements in battery life come thanks to the new H1 chip inside AirPods 2. With H1, the AirPods can more intelligently manage power, provide a more stable connection, and improve the speed of switching between your devices. This is where my 2-year-old AirPods drove me nuts all the time. If I had them in, and wanted to switch from my iPhone to my iPad for listening, it worked roughly as often as influencing the weather with a tweet. With AirPods 2, I get a much more consistent switch between devices. The H1 also enables the use of “Hey Siri” on the AirPods. This means they’re always actively listening for you to say the wake word. Oddly — at least for me — you don’t get any kind of tone to indicate if Siri is listening with AirPods. On iPhone and iPad, you get a subtle “da-dum,” paired with the lit-up screen, to know Apple’s assistant heard you. On AirPods 2, you just speak and hope you get a response (or check your phone to verify). In my tests, Siri heard me almost every time. But without any indication, I assumed it was failing. Everything else about the AirPods is more or less the same. They sound good, feel well-built, and offer that Apple simplicity. If you loved the original, there’s no reason you won’t love these, too. Probably even more. You can also buy the wireless charging case separately for your first-generation AirPods for $79. Update: We originally published this post on March 27. After publication, we added results of more thorough battery testing.